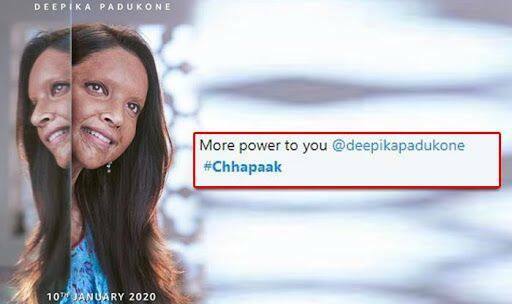 The first look of Deepika Padukone’s Chhapaak is out and netizens cannot hold their excitement. Deepika embraces the beauty and gives us the glimpses of the brave acid survivor Laxmi Aggarwal. In the film, she plays the role of an acid survivor named Malti. The shooting of the film begins today and we are sure we will be able to see much more pictures from the shooting. The film is bankrolled by her own production house, KA Entertainment. The other producers on board are Fox Star Studios and Mriga Films. It is directed by Meghna Gulzar and it is slated to hit theatres on January 10, 2020.